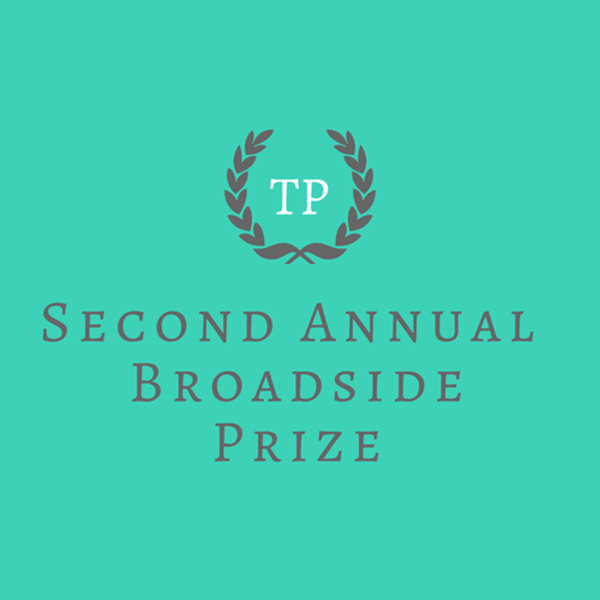 The Second Annual Tupelo Broadside Prize is an open poetry competition. The editors of Tupelo Press and Tupelo Quarterly will choose three winners who will each receive $350 in addition to broadside publication by Tupelo Press, 20 copies of the winning broadside, and publication in Tupelo Quarterly. The Second Annual Tupelo Broadside Prize is open to anyone writing in the English language, whether living in the United States or abroad. Translations are not eligible for this prize, nor are previously published poems. Employees of Tupelo Press and authors with books previously published by Tupelo Press are not eligible. Please submit 3-5 poems, maximum of 21 lines each, in one file, with the $22 reading fee, between June 1-June 30. Submissions will be accepted via Submittable only. Attach all poems in your submission as a single document in .doc, .docx, or .pdf form. Be sure that your document is complete and formatted correctly before uploading. Click here to submit. Results will be announced in early fall and all submitters will be notified via Submittable. Enjoy one of last year's winning selections, “To Speak of One Is to Speak of the Other”, by Susan Tichy.